Shopping for used 4×4 vehicles near Mesa? Look no further than Cactus Jack's Auto’s extensive inventory of used trucks and cars, as well as SUVs between $15,000 and $20,000. You don’t have to pay a small fortune for an all-terrain, go-anywhere vehicle. Whether you’re shopping for a four-wheel-drive vehicle for work or off-roading around Surprise, we can help you find it! We offer high-quality used cars from brands known for their powerful and capable four-wheel drive systems, such as Jeep, Ford, and Chevy. Browse our current used 4×4 vehicles for sale below, then contact us to schedule a test drive in Phoenix! 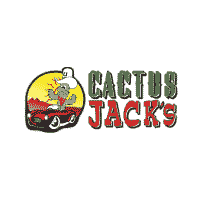 Why Buy a Used 4×4 Vehicle from Cactus Jack's Auto? Here at Cactus Jack's Auto, we’re always offering weekly specials on used vehicles. Additionally, we provide a Buy Here, Pay Here used car program, and offer financing options for Glendale shoppers with bad credit or credit no credit. This way, you can purchase the used 4×4 vehicle you want for a monthly payment you can afford, plus you’ll benefit from monthly reporting to major credit bureaus to help you build credit. While you’re here, check out our guide on things to do in Phoenix!